For this lot, we purchased coffees from 16 different producers to create a great quality regional blend. 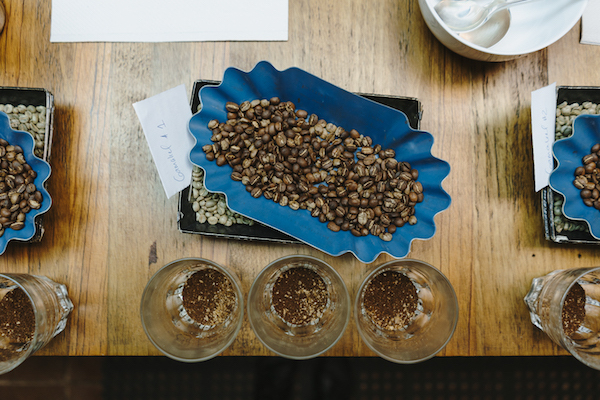 The personal relationships we have with the producers goes further than just the trade and we wanted to give a great chance for these producers to highlight their coffees together. This regional Huehuetenango regional lot differs largely from the other coffees on the market since we can provide a full traceability of this coffee. We can openly showcase which producers contributed for this lot. We constantly work with our producers to improve the quality of their coffee and therefore price of their coffees. We believe that investing in these producers now will bring some great results in the future, both in coffee quality and in social change. This coffee is balanced, sweet and full bodied with berry notes 🍇🍪🍭Works like a wonder as espresso! The end of the year is approaching and so is our next harvest! Cherries are ripening as we speak and the producers are getting ready for the busy harvest. Let us know if you would like to visit us in Guatemala.